← Why A Closet Blog? I don’t know about you, but when I latch hook, no matter how hard I try, my yarn ends do not always end up the same length. I match them up when I put them around the hook, but somehow in the hooking process, one end often dominates and ends up taller than the others around it. …or the tall white end here. It’s often said that creative people are “different” and that they’re not overly concerned with exactness – that whole “left brain right brain” debate. Well, I am creative to the extreme and I DO worry about exactness. It took me many, many, many latch hook projects before I stopped worrying about the ends as they appeared and instead took my scissors to them after they were done and trimmed away all evidence of my inability to be exact. The good folks at MCG suggested that I use their curved handle scissors for my trimming purposes. To be honest, I tried them just to say I did, I really didn’t think they’d make a big difference. Boy was I wrong…on many points! 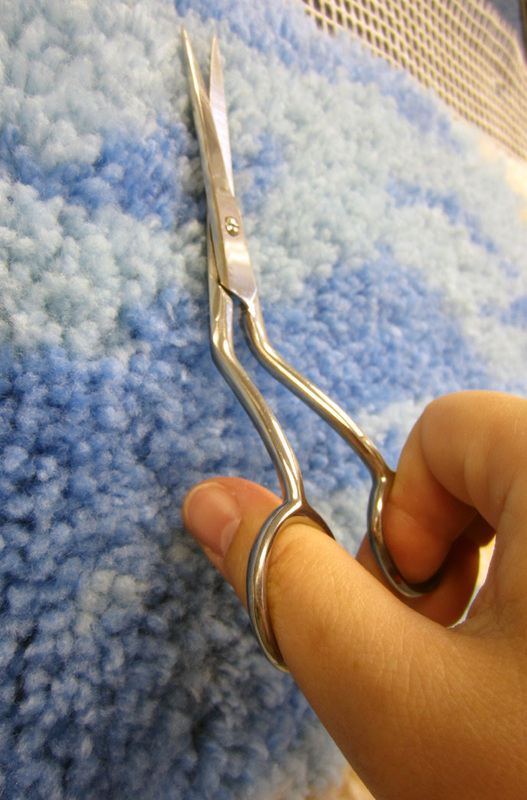 Second, my hand was so much happier with the curved handle scissors as it did not have work at a bizarre angle! Lastly, the cutting process itself was so easy that I came close to calling it fun! I love the process of crafting, but I hate the finishing of projects. In counted cross stitch, one the X’s are all crossed I don’t want to have to back-stitch everything; once I knit a sweater I don’t want to have to put it together, and once I finish latch hooking I don’t want to have to trim the ends. But I do in all cases because the project really isn’t done until those last steps are complete. 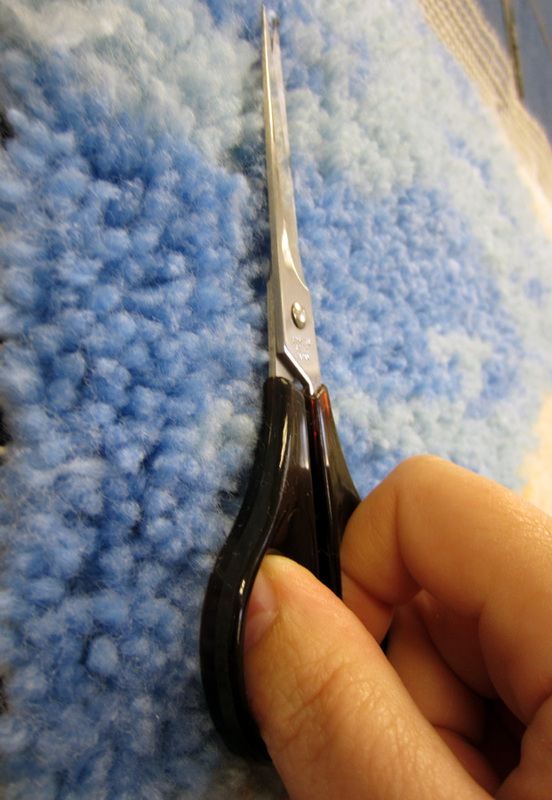 At least with latch hook, using the curved handle scissors has made the last step less painful! Oh…and my final tool for making the front of the rug look awesome? 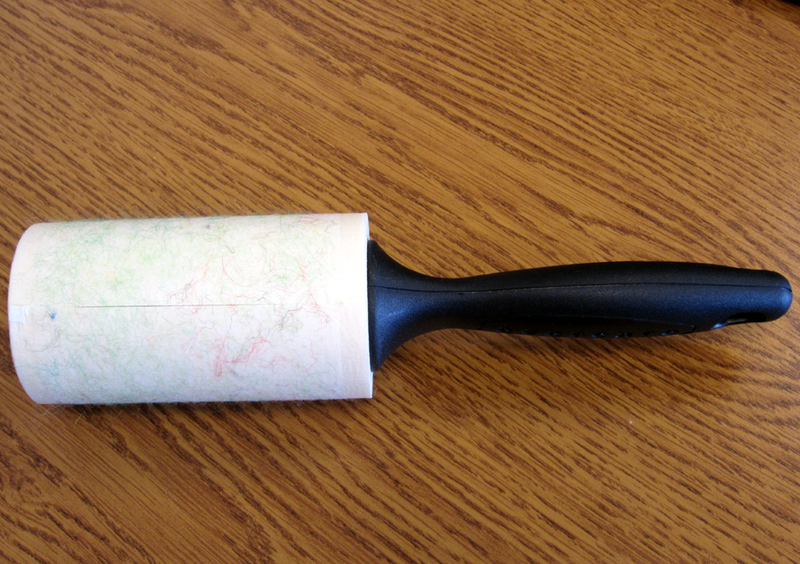 Yep, a good old-fashioned lint brush! I use this to entice all the ends to stand up straight before I trim, and I use it during the trim process just to make sure there aren’t any renegade ends. The lint brush also works fabulous for picking up all the cut ends that didn’t fall off when I shook the rug. Be prepared to use several sheets depending on the size of your rug. 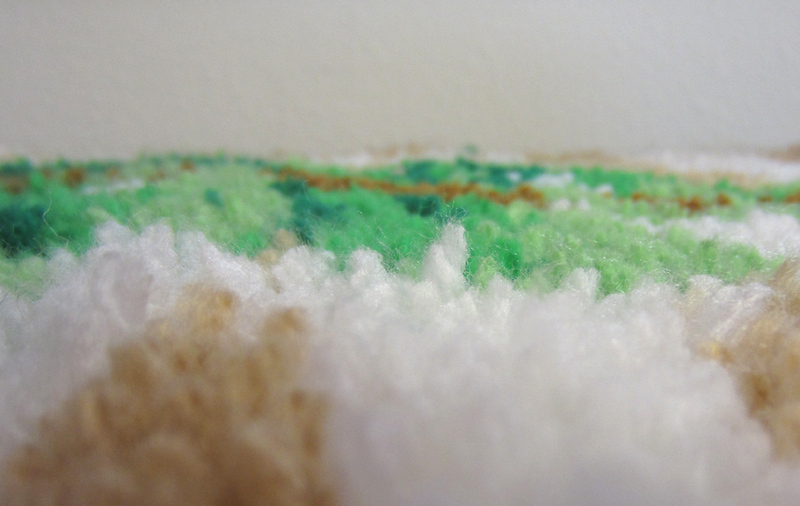 What do you use to make the front of your rugs look awesome? If you don’t have to trim, how do you hook so all the ends are even? Your crafting buddies want to know! 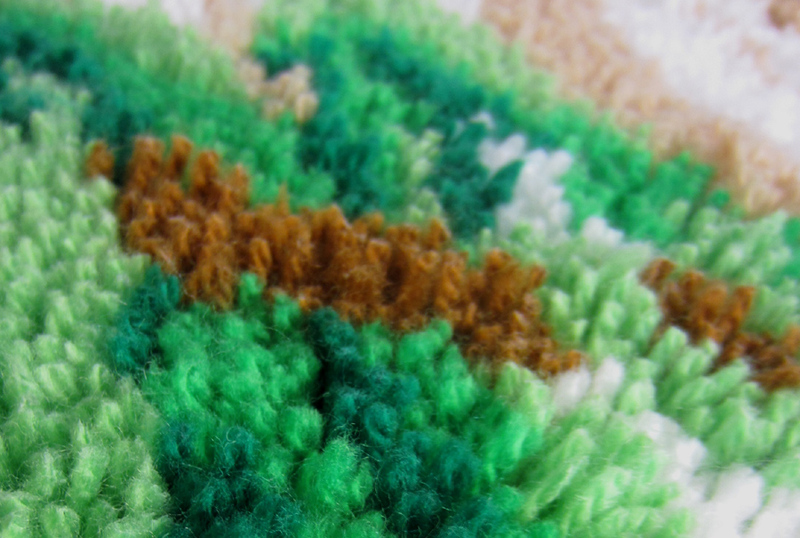 This entry was posted in Latch Hook, Tips & Tricks and tagged Latch Hook, Scissors, Tricks. Bookmark the permalink. Sometimes I do and sometimes I use them as wall hangings. A great friend once gave me awesome advice when I was surprised that she was letting her 2yr old drink from a Waterford crystal glass at dinner. She said that she buys/makes things for them to be used, and if anything happens along the way then that becomes part of the story of that item.